Complementary parking up to 2 hours for dining guests, $10 charge for up to 4 hours. 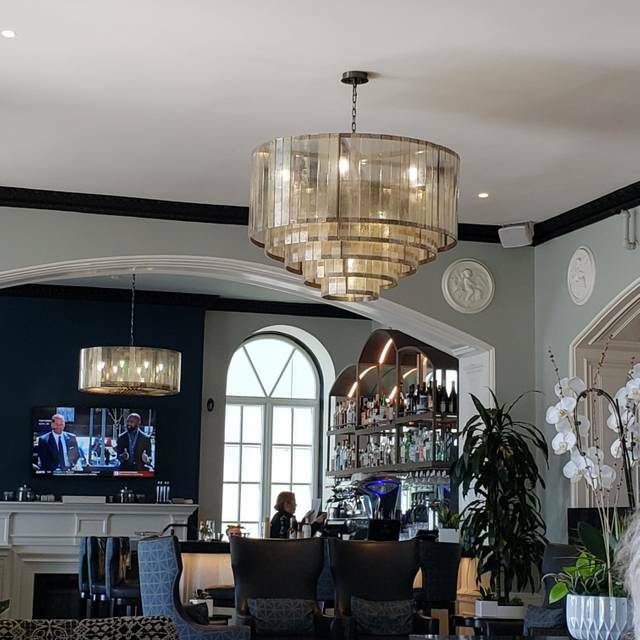 Dine in style for breakfast, lunch, happy hour or dinner at The Veranda Restaurant in Santa Monica, located at the Georgian Hotel. 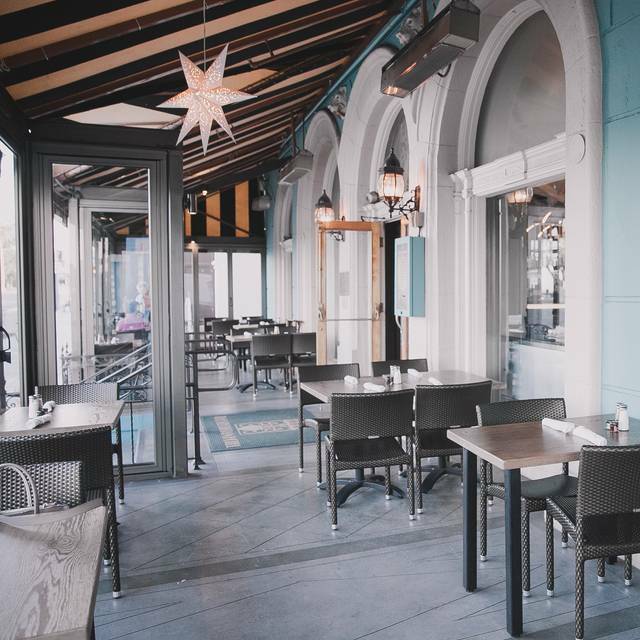 Our beachfront address sets the scene for a truly unique Santa Monica dining experience. Whether it's a signature handcrafted cocktail or the sound of the ocean waves crashing that speaks to you, you've come to the right place. 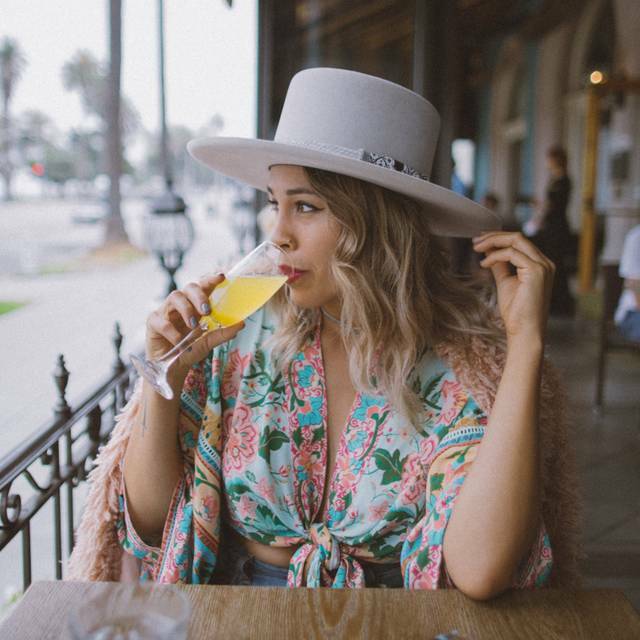 Grab a front row seat to Santa Monica sunsets, unparalleled people watching, and more on our timeless veranda. 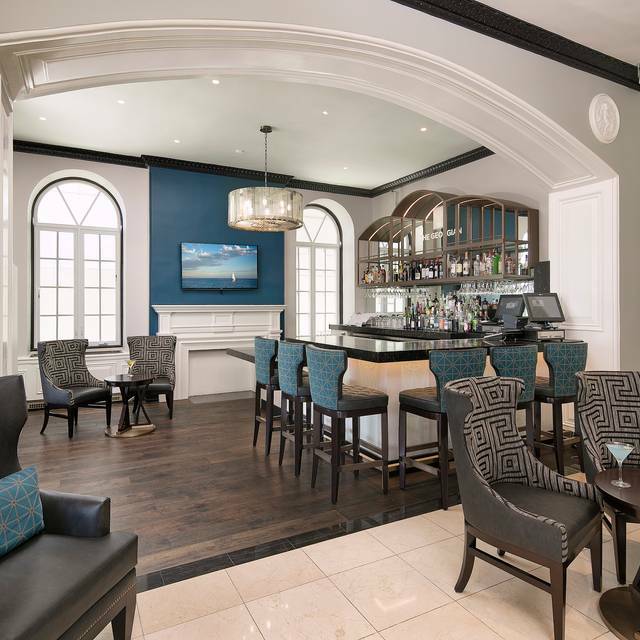 Inside, cozy up to our brand new lobby bar and watch our mixologists make magic, grab a comfy lounge spot for intimate conversation, or indulge in a quiet dinner before calling it a day. The service, ambience, food, view of Santa Monica Beach and the ocean left me with a feeling of appreciation of why I live here. I felt like I had gone back in time and was in a place where sophistication, good manners and being nice went hand in hand with great customer service. Really wonderful experience. Thank you! The food was very good. We had a variety of menu items from pasta to hummus. The produce was above par and all the food tasty. It was half price wine night, and we enjoyed the French Chardonnay. It was a chilly night and they turned on the ambient heaters so it was very comfortable. The only downside, which is somewhat out of their control, is the sunset view was blocked by tour buses. The food is wonderful and so is the service. One special thing to ask for is their special butter (mixed with honey). The view is beautiful too so I’d totally recommend the place. Very nice overall. I thought the tea sandwiches actually were a little big - could have been smaller. Serviced was excellent. Room was cozy and we had nice view of the ocean. Good! Great experience! Food was excellent and service was outstanding. Great view. The glass enclosure protected us from the wind. 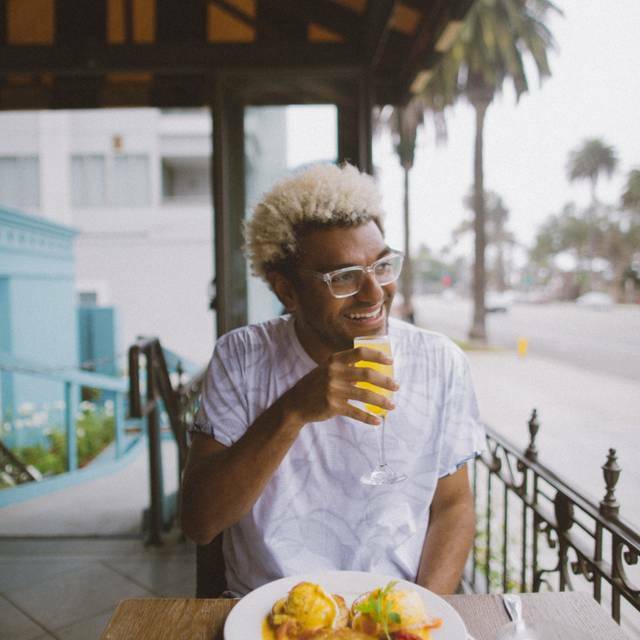 I plan to eat brunch at the Veranda Restaurant at the Georgian when I am next in Santa Monica! Mercifully, blessedly quiet enough to actually hold a conversation! Food quite good, service excellent, good value with two hours free valet parking. Unless one is fond of restaurants that encourage screaming, this is the place to go on Ocean Ave.
Great food and wine. The service was excellent. We attended the High Tea on New Year's Eve day. It was a wonderful spread, and the service was easy yet attentive. There was extra care given to make sure that we felt taken care of and valued as guests. I highly recommend this experience! Excellent food! And great service and view! Highly recommended! My husband and I came here for our Christmas dinner. They were fully booked and very busy but it still felt like a romantic setting. There were a few issues with menu options no longer being available (apparently they were so popular that they had sold out) but we were very happy with the meals we did get. There was a slight discrepancy between the pace of the service with the table next to us and ours (different wait staff with much more attentive staff at their table) but for a Christmas dinner I have to say I was pretty happy with everything overall. 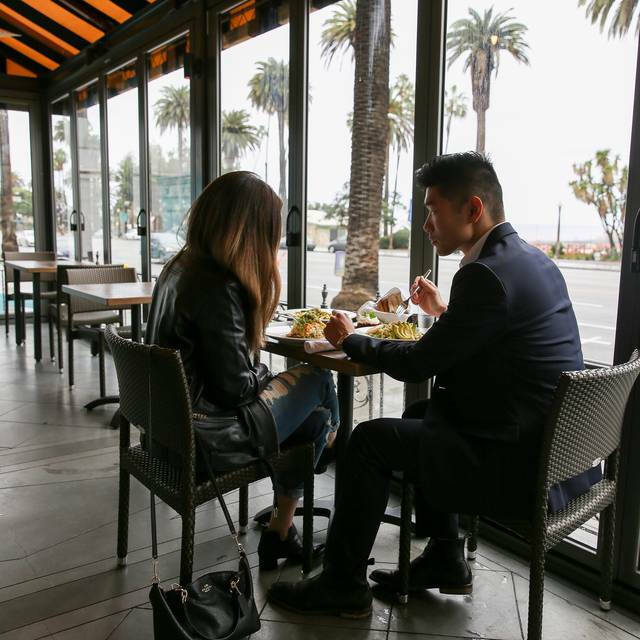 The food was delicious and though I had wanted to sit inside, the fact that our table was outside was not bad as it had a beautiful view of Palisades Park and the Santa Monica Pier. The butternut squash ravioli paired some interesting flavors like pomegranate seeds, walnuts and basil with fettuccine Alfredo sauce and delicious ravioli. It was divine and not something I would have ordered had the burgers not been sold out. The French fries and soup were delicious. Honestly everything was delicious and much better than I ever anticipated. I look forward to going back when they aren’t so busy. We waited 20 minutes for our drinks to come out and then another 45 minutes for our food. Our food also came out all at once - bread, appetizers, mains - and also came out cold and had to be returned for reheating. Our order also came out wrong with some items missing. I don't want to be hard on the wait staff as they were friendly and apologetic, it seemed like a staffing issue or an inexperienced kitchen staff. For the price it was extremely disappointing and bland, I wouldn't visit again. The ambiance was beautiful and we couldn’t ask for a better location in the restaurant. Here’s where the problems were: (1) we had a reservation but they took a table for two and added a third chair making it very cramped; (2) the table was right at the window (which was closed) that kept billowing from the wind which constantly knocked out table; (3) it took over twenty minutes to bring a drink from the bar and you don’t even want to know how long it took to get an extra little saucer plate when we asked. Given it was Christmas, we stayed in our kindness but if being honest, the only draw back would be the historical ambiance and the taste of the food. We went for afternoon tea and were the only ones there! The food is plentiful and creative. The "finger" sandwiches were quite large and the bread a bit dry, but that was the only complaint. They tasted great and were different than traditional tea fare. We had a nice table on the porch and the servers were available but not too assertive, which was nice. Would definitely consider going there again! A wonderful day shared with good friends. Chicken breast sandwich was delicious. The staff were exceptional, friendly, helpful, especially since the five of us were from the age of 77 to 98! Food was delicious, HIGH TEA. This was our second time to go for the afternoon HIGH TEA and we were not disappointed. They did seat us outside, but Connie did close the sides to keep the cool wind from hitting us. Very attentive staff. I booked a reservation for high tea. It was confirmed and a reminder sent that the tea was confirmed for the next day. We got there and no reservation. Miguel and the chef did everything possible to make the tea menu at the last minute. Everything was deliciious Because of the mixup there were no scones but they threw in a free gkass of chanpagne to compensate. I appreciates their efforts to save rhe tea. Any olace trying That hard deserves a 2nd chance. The service was very nice, the small savory sandwiches were very nice but the scones were perhaps the worst I have experienced, rock hard & dry. I make beautiful light moist scones with a recipe from the Ritz in London. 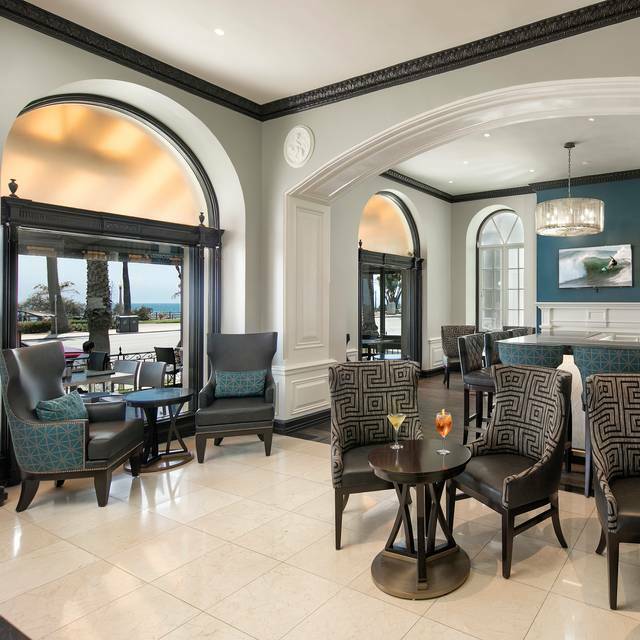 The Peninsular in Beverly Hills makes very nice scones, the baker should go & try them. I would not go back to this rerstaurant because of the awful scones. My 2 daughter’s & I celebrate high tea every year at this time... best high tea ever!!! Lovely sitting on the patio. Very competent waitress. Definitely my go to restaurant! The food was nothing special. My salad with chicken seemed like something out of a food court. Pretty room but we thought it would be special and just did not measure up to expectations. Outstanding experience- great food and ambiance. Fantastic service! The view is awesome. We had high tea, and it was a great experience....the food was just not our favorite items. The high tea was nice. The food was good and there was a good selection. A little on the pricey side. Nice location right on Ocean. A group of 5 of us elderly ventured for HIGH TEA. We all had the best time for the service was great and the food was delicious. Service is a bit slow outdoors. It’s easy to spend a lot of money for meh food and even worse service just because it’s Santa Monica. When some friends decided to come up from the OC for brunch we promised to make their trip memorable. A foodie friend and SM native suggested The Veranda despite my misgivings about it being a tourist trap. What a magnificent recommendation it turned out to be. The table was ready for us when we arrived. Our server Miguel couldn’t have been more attentive. The food was quite good and everything seemed very fresh and carefully crafted. Even the prices were quite reasonable considering the aforementioned service and food coupled with the priceless view of the Pacific! I was Very pleased with our whole experience and we will be back soon for High Tea! Excellent service and excellent food. 2 hours of free valet parking is excellent and all the employees very attentive. 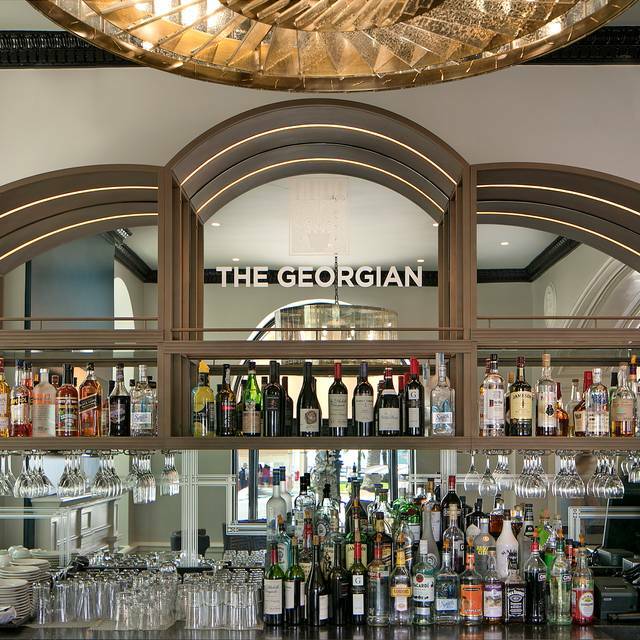 The Veranda at The Georgian is always lovely. I met a friend whom I hadn’t seen in years (as she’d moved out of the country) for lunch. The view is beautiful and the food was g eat. It was the perfect place to pick up our friendship now that she’s back in town. The location is very nice, as was the wait staff, but the food, the presentation, and the selection of choices unfortunately were quite mediocre. We have had brunch there and found it to be quite descent, but dinner has a ways to go. A great location in Santa Monica. Group of 4 and we all enjoyed our meals very much. Nice outdoor seating on a summer evening. Fantastic setting, right on the palisades. Request a table at the front with a view. Benedictin was good but by no means exceptional, egg slightly underdone with white still not set. Overall good, would return. 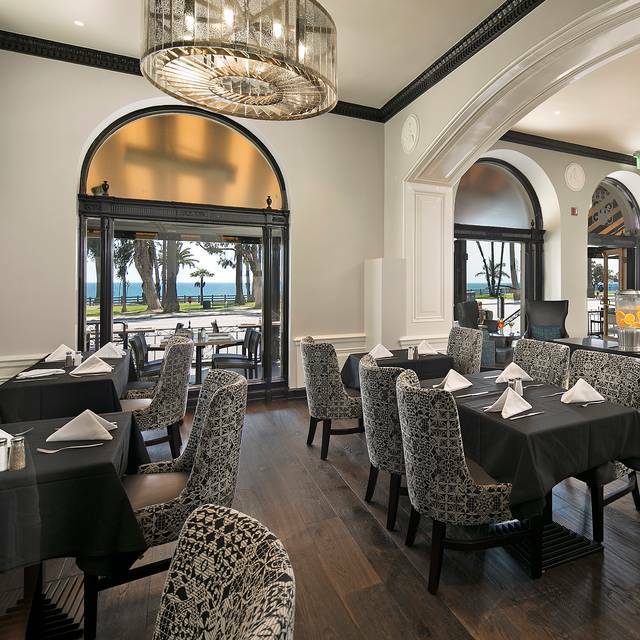 We always enjoy our time at the Veranda. The food and the excellent service is always worth coming back for. The view is fantastic and location is great. Unfortunatly the food was not good. Salmon and mussels were not fresh. Also we ordered glasses of Cote du Rhône wine and they gave us some other wine ... We had to have it replaced. Its a good place for coffee or a cocktail but not a place to eat.